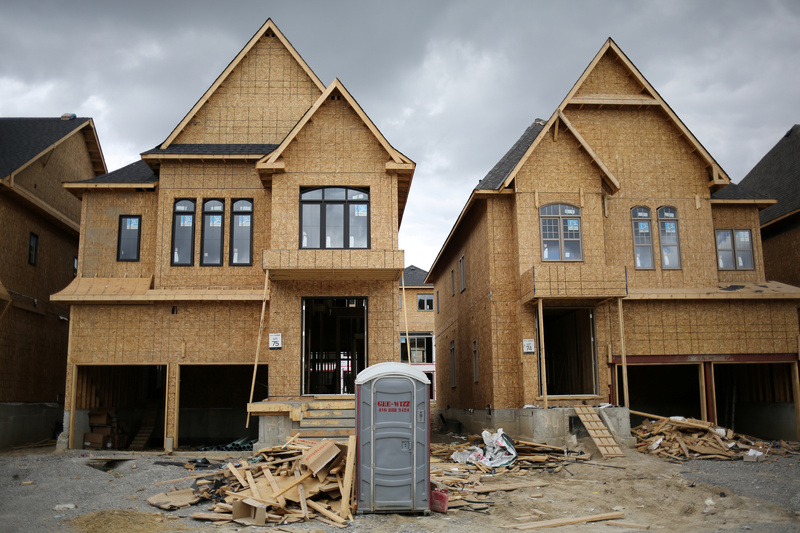 Houses under construction are seen at a subdivision near the town of Kleinburg, Ontario, Canada May 13, 2017. Picture taken May 13, 2017. Germany-based building-products maker Knauf on April 23 urged investors in its U.S. rival USG to vote against reappointing four directors, amid its hostile attempt to take over the company. Knauf already owns 10.5 percent of USG’s stock. A further 31 percent is owned by Warren Buffett’s investment company Berkshire Hathaway, which first bought shares in 2000. Berkshire Hathaway has offered to sell Knauf the option to buy its shares for at least $42 in the event that it can consummate a deal at that price.